Top Five helicopters For Superyachts. Nigel Watson Article. Superyacht Owner magazine has published my suggestions for the 'Top Five' helicopter models for superyacht operations. Get a copy on my blog post. Monaco Yacht Show 2014. Helicopter Helipad Design Consulting. Designing the helicopter helipad for a superyacht is a specialist skill. There are a wide variety of factors to consider, like stresses on the aircraft, landing direction, superstructure turbulence, fuel storage and fire fighting equipment. 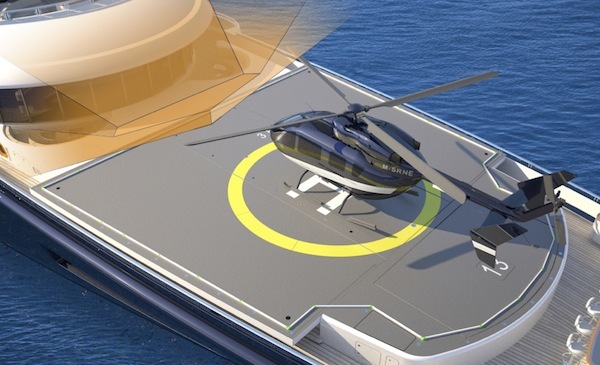 Superyacht helipad design. Certified Commercial Heli Pad aboard your yacht.